I recently sold my 1998 Suzuki Khyber and bought a “ghar ki chali hui” (Home driven) 2004 Suzuki Cultus and later the other day when I was going somewhere with a friend of mine, whom I asked to open the glove-box and get me my cigarette packet out. As he reached towards the glove-box handle, he was surprised to see that there was lock on the glove-box. I was also surprised at his disbelief of seeing that to which he responded that you do know that I also bought and sold a 2006-7 Suzuki Cultus and mine didn’t have this lock on the glove-box. I fell into fits of laughter as he uttered his displeasure at how Pak Suzuki tried to save cost through such petty items in a car even though the than new 2006-7 Cultus was a lot expensive than my 2004’s model retail price. So than I moved onto Pakwheels’ forums and began a topic inquiring from members about their analysis as I was very sure that there must be more items shredded from new models of Suzuki in the name of cost-cutting. The most hilarious shred was done on Suzuki Mehran which PW member,Istafa111 pointed out. Bear in mind that these a/c vents aren’t cheap in the after-sales market such as Plaza, etc. When I, out of curiosity asked about the ducts for Cultus, the expected minimum price I got to know was 2500-3000 PKR for just the vents in the middle. A/c vents for Khyber were even more expensive, 4K PKR per piece (side vents) as member Daniyal Ahmad wrote. 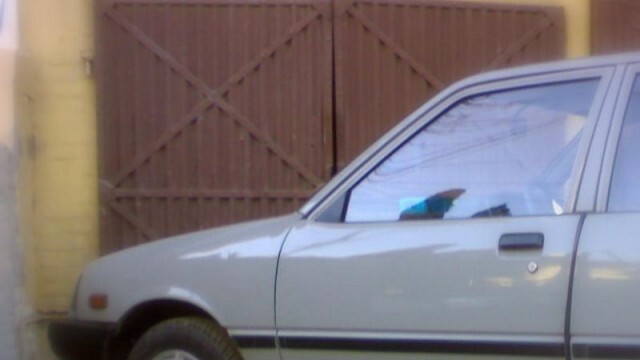 Apart from cheap plastic used in today’s new Mehran there are lots of other things which the cheaper FX used to have but the the newer ones don’t have, the rear-window’s defogger. Some the last models of Khyber didn’t have the Left-side-view mirror on them. While I had many members said their’s didn’t have it. The topic on the forums continue about finding what was shredded off your newer vehicle in the name of cost-cutting. This is quite oddly very funny and I hope that you will also tell what you’ve seen missing in the newer models. when u buy a cultus of Rs.1.100 million, u have to plug all the body holes underneath the car. u may have to pay Rs. 20 for that but can’t suzuki provide them after recovering so much price……otherday i was reading interview of Indus motors …he said that they were selling their vehicles on loss…a few days after Indus announced their annual results…the company had declared a net profit of Rs. 2.87 billion…from where this profit was generated. 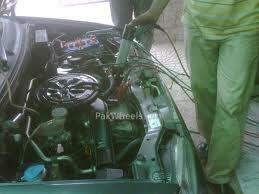 All the major assemblers in pakistan raise the prices of cars at least 6 times a year. during last 5 years prices have goneup 70%….who is regulating price increase…import of second hand vehicles will give them a good lesson…when indian vehicles will flood pakistan market…they will definitely shut the factories and pakistani public will have value for their money…these 3 assemblers are looters and cheaters. the raise the prices when yen dollar parity changes, when yen rupee parity changes, inflation is covered ( Rupee dollar parity) general increase in local prices, when they add anew feature costing them Rs. 1,000 e.g they will increase the price by Rs. 10,000.